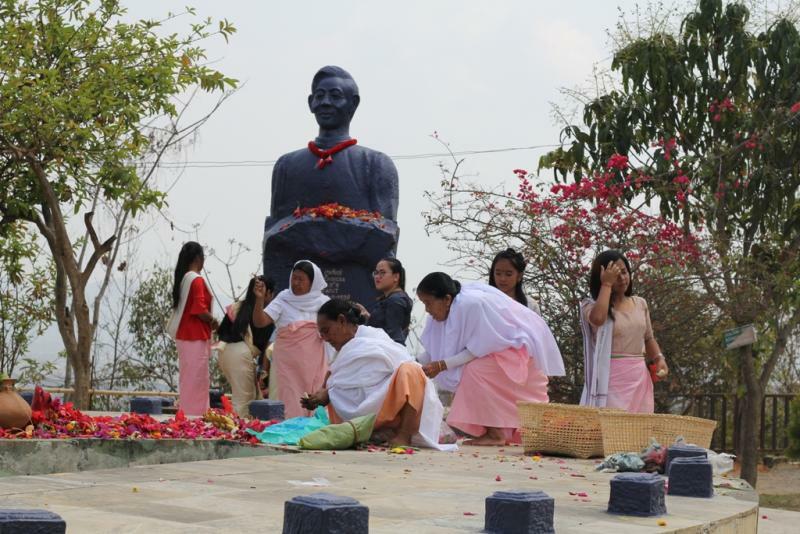 Imphal, April 13 2019: At least three thousand people irrespective of communities today paid floral tributes to the PLA members who laid down their lives in the course of the revolutionary movement at Cheiraoching memorial complex on the occasion of the Martyrs' day which was organized by Family Committee for Observation of 13 April. The 'Martyrs Day' is observed every year in memory of the Tekcham gun battle of June 16, 1981 where seven revolutionary cadres were killed and the Kodompokpi gun fight of April 13, 1982 where nine PLA combatants were killed. Speaking to media person, petitioner No 2 who is also a member of the Family Committee For Observation of 13 April, Khundrakpam ongbi Medha expressed gratitude to all the people of different communities who come all the way to Cheiraoching to pay homage to the departed 'martyrs' . She said that the number of people who gathered to pay homage increases every year. She said that it was very unfortunate that the journalist weren't allowed to enter the homage site from 8 am in the morning to cover it because of an order instructed by DC. She added that every year the journalist were allowed to cover the observation. She also said that the 'Martyrs Day' was observed with due permission of Court. 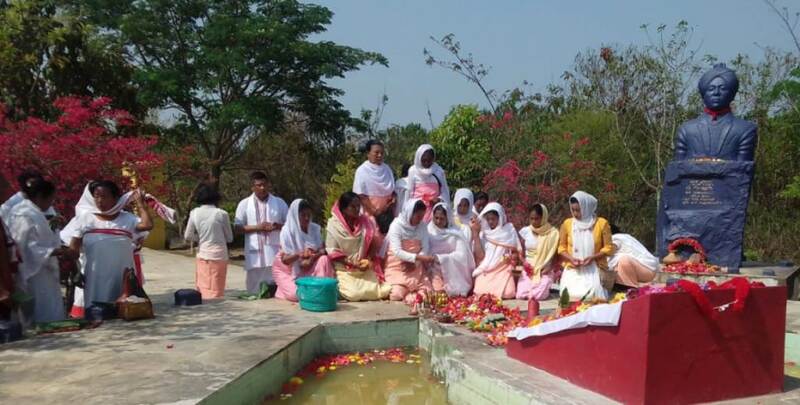 Floral tributes were paid at the memorial tomb starting from 6 in the morning and the offering of homage continued till 4 in the evening where it was previously extended up to 5pm but then shortened because of an order. However, police took up strict security measures in and around Cheiraoching in relation with the occasion where all the people who came to offer tributes and pay homage to the 'martyrs' were verified by police at the foothill. A medical camp was also organised at the foothill in connection with the 'Martyrs Day'. The large number of people who came to pay homage to departed PLA cadres and leaders at Cheiraoching also paid floral tributes to the statues of National heroes Thangal General, Paona Brajabashi, Bir Tikendrajit and Hijam Irabot. It can be mention that the PLA cadres killed in the gun battle at Kodompokpi were Thoudam Kunjabihari of Kakwa Nameirakpam Leikai, Thoudam Loken alias Amujao of Kakwa Nameirakpam Leikai, Paka of Heirok, Pakhanglakpa alias Puki of Keishampat, RK Khorumba alias Gyane of Moreh, Sorokhaibam Kameshwar alias Kanta of Heibongpokpi, Khundrakpam Chaoban of Kwakeithel Moirangpurel, Naorem Rajen of Kakwa Naorem Leikai and Moirangthem Premkumar of Tera Sapam Leikai. And the seven PLA cadres killed at Tekcham were Ibohal alias Biramangol, Yaima alias Indrajit, Koba alias Rajen Macha, Langlen alias Kacichandra, Inao, Khogen and Joy alias Shanti.